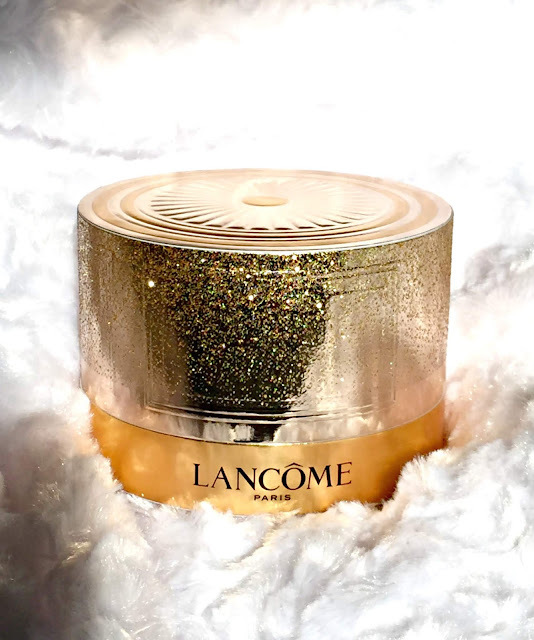 The Lancôme Starlight Sparkle La Rose A Poudrer is part of their 2018 Holiday Trend Collection, and pretty as it may be, you certainly don't need this unless you're perhaps a collector of Limited Edition pieces. If you're looking for value or an extremely well-made powder box perhaps to display on your vanity, keep looking. As you can see, this is a lovely piece that's extremely photogenic. 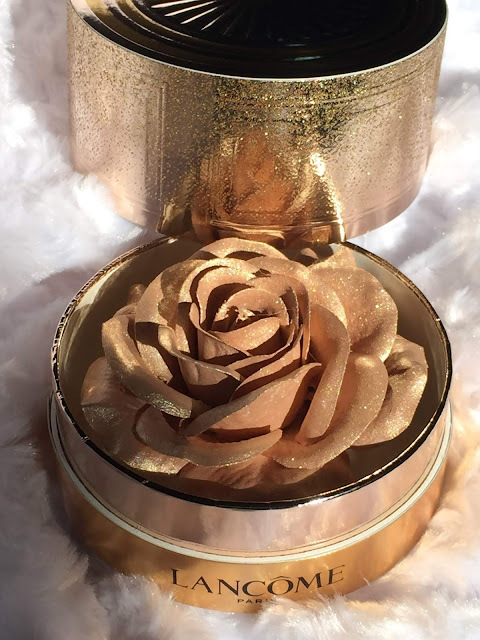 The festive and rich gold coloring of the box is eye-catching, but for $60.00 (I did notice that HSN/Home Shopping Network has it for $48.00), cardboard construction is kind of an insult to your wallet. The product itself is on the petals of the rose found inside of the box, and it's applied by swirling a powder brush over the product, then applying it to your skin as you would any powder or highlighter. It can be used wet or dry, and when I use it wet for a bit more intensity, I first pick the product up on the brush, then spritz the brush lightly with one of my various rosewater sprays before applying. 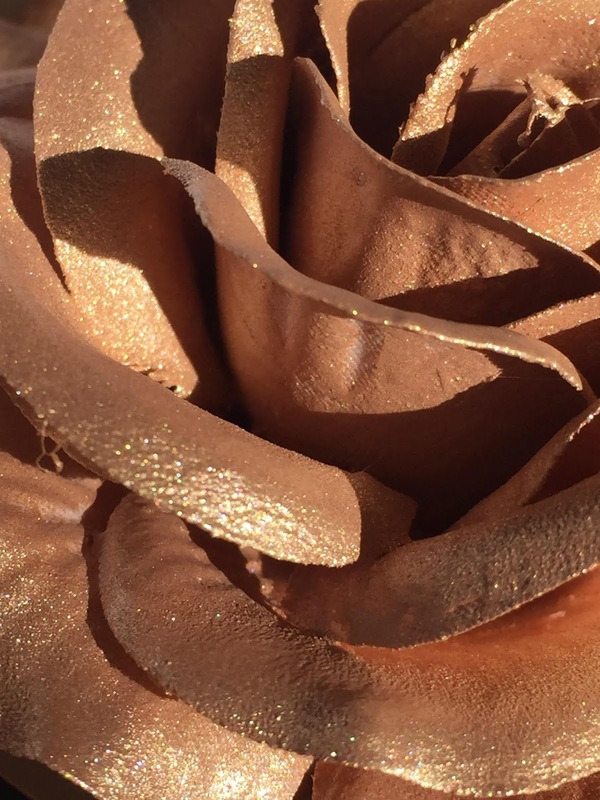 The rose appears to be some type of fabric, and the product is somehow adhered to that. The color of the highlighter is what I would call a warm gold with an ever-so-slight hint of copper. There is no glitter, so you needn't worry about any type of fallout. 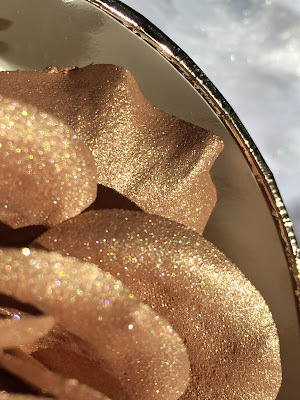 It's very smooth and applies beautifully, giving a subtle glow with a light application, and more of a sheen with a heavier, more built up application. It says it can also be applied with your fingers or a sponge, but I prefer a brush. A brush seems to be the less damaging choice to the petals, because if you look closely at the photos below, you can see some small thread-like pieces that are on the edges. I feel like rubbing those too hard with your fingers, or pressing a sponge to them with too much pressure would be the start of some major unraveling of the fabric weave. The color/shade is actually very nice, and I tried to show some of the sparkle on the left by moving my arm during photographing it. It's very smooth and the lack of glitter is personally how I like my highlighters. It catches the light nicely, managing to sparkle without any obvious glitter, and does a nice job enhancing your skin. The amount of product is 1.9 grams/0.067 ounces, which isn't a lot of actual product. I believe it was last year when they came out with the pink or rose colored one of these, and that seemed to sell out rather quickly. This is basically the same thing, simply in a different shade, and there are still plenty of these in stock at many retailers and counters. The novelty of the idea when it was first released last year caused quite a frenzy, and they sold out. There was quite a bit of disappointment then, and again this year, when people realized that the price simply didn't justify the actual item. 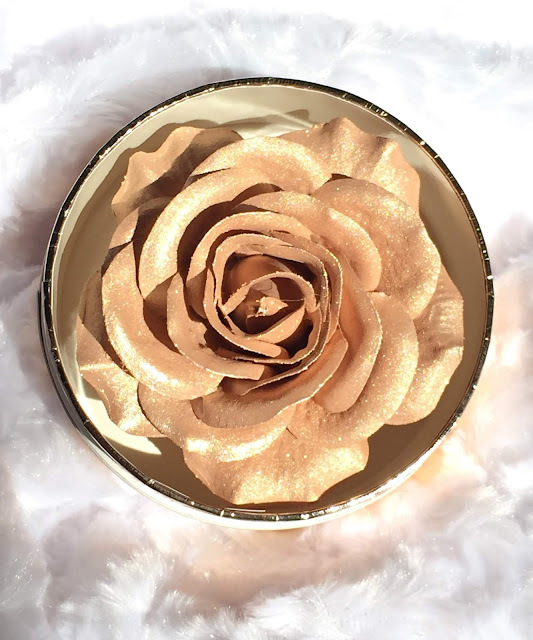 The powder highlighter itself is top quality, but the cardboard box and the delicateness of the flower are lacking in execution. I love Lancôme overall, they have a wide range of color cosmetics, fragrances, and skin care that for the most part, are top quality with great performance. Every now and again, something just doesn't meet expectations, and this is one of those products. A lower price point or a more practical packaging for the powder/highlighter (which again, is a very nice product) might make it more appealing. Welcome to the first entry of my Saturday Links + Love + Life series! This is just a quick look at what I've been up to this week, as well as some things I'm looking forward to, and things that have piqued my interest. How's your Christmas decorating coming? Mine is pretty much done, although I find myself redoing my mantel every couple of days, because I can't seem to get the look I want. Elf on the Shelf is kind of a joke in our household, so don't taunt me for having him! Our tree is up, and normally it would have been decorated weeks ago. But I've learned my lesson and that's not happening until the last minute. He looks innocent enough, right? This is Tanner, one of our three dogs. He's the reason our tree has lights but no ornaments yet. It's situated in a corner that has windows on both sides, and those windows allow him to see the mailman, UPS, and FedEx drivers. They are very dangerous and evil people in his mind, so racing around jumping up in the windows is his job. And he takes it very seriously. Never mind that there is now a Christmas tree blocking his access. Several times a day the poor tree is in serious jeopardy. I finally got tired of him knocking ornaments off, or worse yet, knocking the entire tree over, so I'm waiting to decorate it. It took me years to get to this point with him, but I'm just tired of fighting it, so we'll wait! I'm really loving this product from Peter Thomas Roth, and I'll have a review up this coming week. They make a noticeable difference for me, and I think I'm getting addicted to using them! 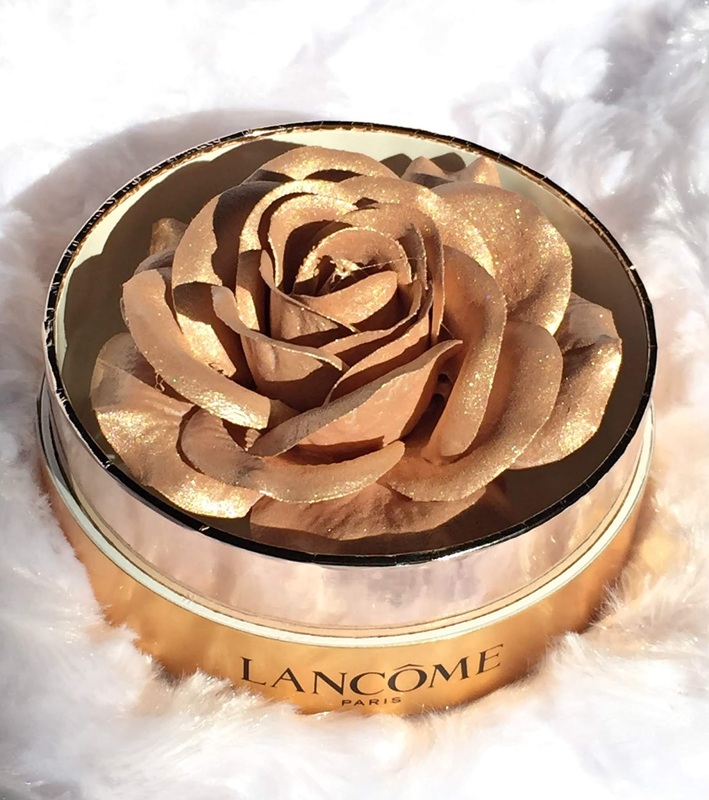 Lancome has some beautiful new cream-to-powder tints that I've been eyeing on their site, waiting for them to arrive in-store. 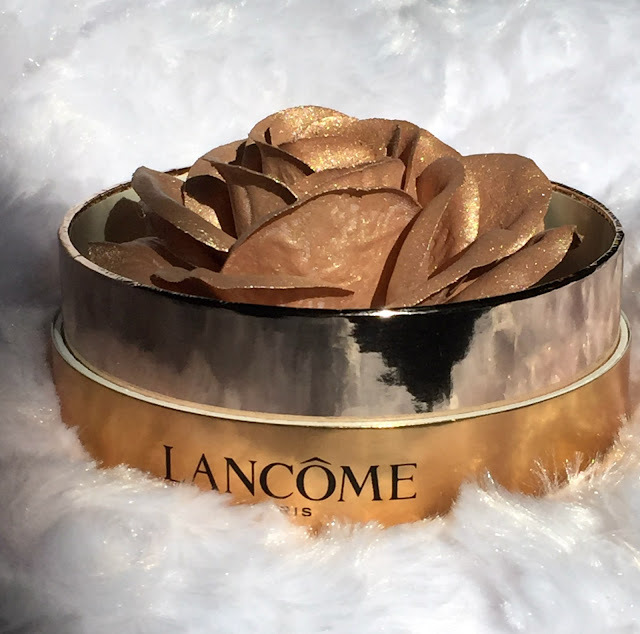 Of course I live in a very small town with no Lancome counter, so I rely on a friend of mine who is a Lancome makeup artist at Bloomingdale's SoHo to hook me up with the goods when they come out. She posted a picture of these beauties on Instagram today, so I can't wait to get a hold of them. My daughter was watching holiday music videos on YouTube this week, and the eye shadow on this singer (Kerrie Roberts, O Holy Night) caught my attention. The shades are gorgeous, but the placement is what I found especially interesting. I kept replaying/fast-forwarding/pausing to get a good look at it. You can see it much better in detail on the TV, but this is stunning, isn't it? If you're looking for some good recipes for your Christmas breakfast, take at look at these Mini Caramel Rolls. I did a test run earlier this week, and I will definitely be making them again come December 25th! They were so good, but I did give 3/4 of them to my neighbor after sampling them, because I knew I'd end up eating them all. I am going to get back to my present-wrapping now, and I always like to watch holiday movies while I'm wrapping. We need some snow or something, I haven't really felt the Christmas "magic" yet. I'll be watching Prancer today, one of my favorites, partly because it was filmed very close to where we live. I hope you all have a wonderful weekend! The winner of Day 12 of The 12 Days of Christmas Giveaway is Mary, selected by Random.org. Please send me an eMail to mary@body-soulbeauty.com with your name/address. Congratulations to the winner, and thanks to all for entering. I hope you all enjoyed the giveaway! 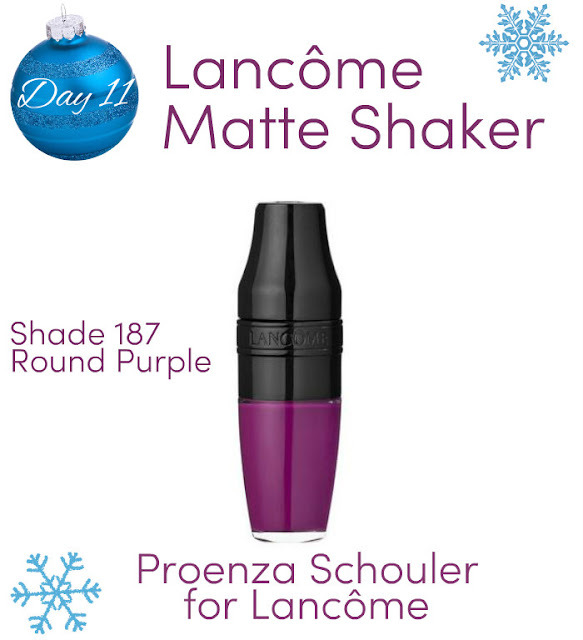 Welcome to Day 12, the final day of the 12 Days of Christmas Giveaway! The winner of the Day 11 prize selected by Random.org is Lisa. Please send me an eMail to mary@body-soulbeauty.com with your name/address. Congratulations to the winner, and thanks to all for entering. 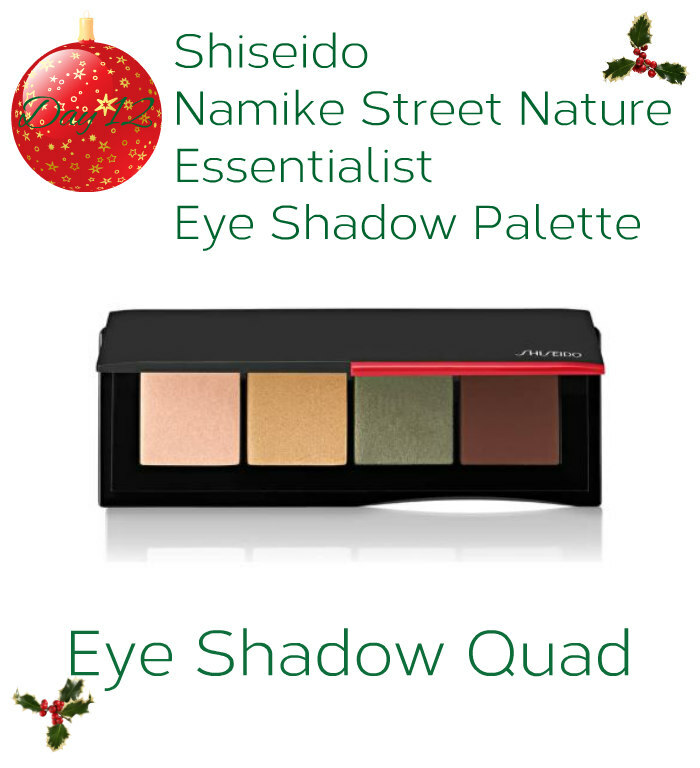 The prize for Day 12 is one of the Shiseido Essentialist Eye Shadow Palettes, Namike Street Nature. There are so many things I love about the entire cosmetics line that Shisedo released earlier this year, and of course, the Essentialist palettes are included in my Shi-lovefest! Smooth, buttery, blendable, long-wearing, gorgeous shades, you get the idea. And I can't forget to mention how sleek and thin these palettes are. The shimmery olive green in this one is so pretty, it's become one of my all-time favorite greens. Each quad has such a nice combination of colors that work well with each other, even though some of them are not colors I would normally wear together. I continue to enjoy experimenting with my palettes, and I hope one lucky winner feels the same way! The entry is easy because I've been out of the loop and have yet to research the best entry methods! TO ENTER: Simply follow me on any platform if you aren't already (see the Follow Along choices on the top upper right sidebar), then leave a comment below saying "Enter Me!". Feel free to add anything else you'd like to say in the comments, I loved hearing from everyone when I spent time here previously. RULES: U.S. addresses only for shipping purposes, your screen name can't be "Anonymous" because I need some type of name to announce a winner, one entry per person per day/giveaway item, entry must be noted by 12:00 p.m./noon EST the day after my post is made. In other words, you have until 12:00 p.m./noon tomorrow, December 14th to comment/enter on today's giveaway. The winner will be announced tomorrow after 12:00 p.m./noon EST. Welcome to Day 11 of the 12 Days of Christmas Giveaway! The winner of the Day 10 prize selected by Random.org is Christy DuBois. Please send me an eMail to mary@body-soulbeauty.com with your name/address. Congratulations to the winner, and thanks to all for entering. The prize for day 11 is one of the Proenza Schouler for Lancome Matte Shaker Liquid Lipstick in the shade Round Purple. This is a Limited Edition shade, one of three shades from the Fall 2018 collection. Do not think this shade is too bold, or a color you would never wear! I have quite a few of the Matte Shakers, and when I saw this one, I totally dismissed it because I don't wear purple lip shades. It's just not something I think looks good on me, although I've seen others pull it off beautifully. This looks straight up grape purple, right? I ordered one of the other shades from this collection, Minimal Ocre, and didn't give Round Purple another thought. That is, until I asked a friend of mine what lip color she was wearing, and was I ever surprised when she told me it was Round Purple! Of course I had to have it then. It really looks like a vivid purple in the tube and on the applicator, but oddly, it doesn't transfer that look to the lip. It's more of a sheer berry tone that looks surprisingly natural. I love the Matte Shakers because of how nice they feel on my lips, and the fact that as they wear off, they still leave a nice stain of color. They're like a lightweight pigmented lip stain. They aren't what I would call true matte, they have a bit of gloss or a sheen to them upon application, but after several hours of wear, they are more of a stain or tint with no gloss, so at that point I would consider them matte. I simply apply one layer and then let it wear down throughout the day for a stained berry look. You can certainly build it up for a bolder look and a deeper stain if you prefer. The entry is easy because I've been out of the loop and have yet to research the best entry methods! TO ENTER: Simply follow me on any platform if you aren't already (see the Follow Along choices on the top upper right sidebar), then leave a comment below saying "Enter Me!". Feel free to add anything else you'd like to say in the comments, I loved hearing from everyone when I spent time here previously. RULES: U.S. addresses only for shipping purposes, your screen name can't be "Anonymous" because I need some type of name to announce a winner, one entry per person per day/giveaway item, entry must be noted by 12:00 p.m./noon EST the day after my post is made. In other words, you have until 12:00 p.m./noon tomorrow, December 13th to comment/enter on today's giveaway. Winners will be announced each day when I post the new day's giveaway, so be sure to check back daily! 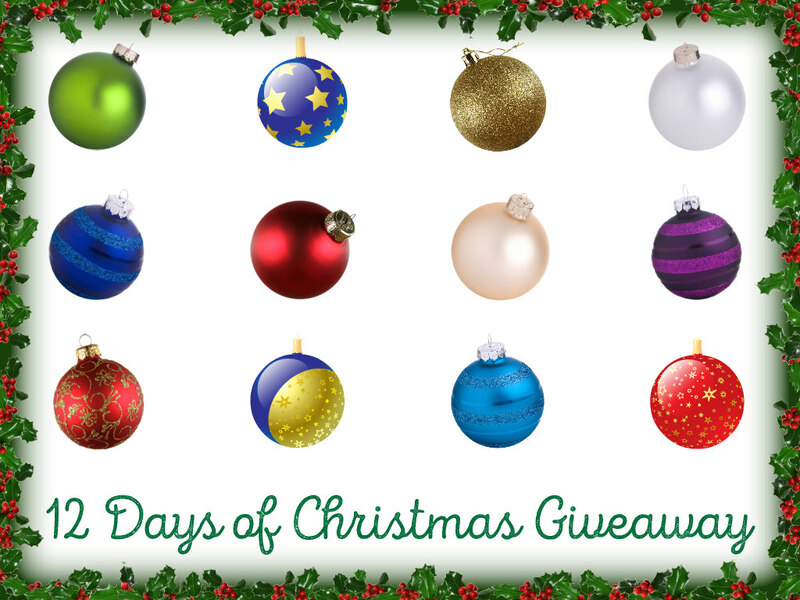 Welcome to Day 10 of the 12 Days of Christmas Giveaway! The winner of the Day 9 prize selected by Random.org is Jennifer. NOTE: There were 2 "Jennifer's" entered, the winner is the one who posted December 10 at 10:26 p.m., so please read through the comments to verify that the correct "Jennifer" responds. Please send an eMail to mary@body-soulbeauty.com with your name/address. Congratulations to the winner, and thanks to all for entering. 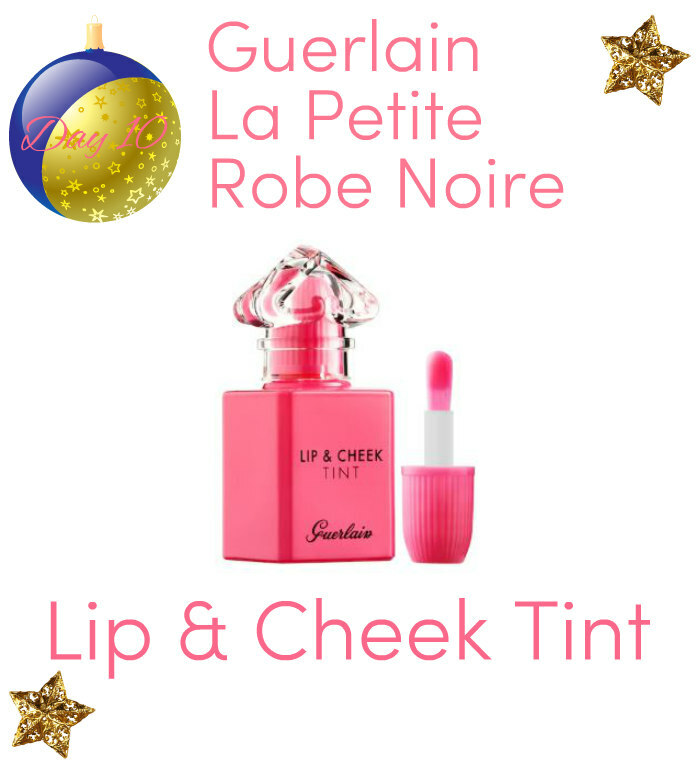 The prize for Day 10 is 1-Guerlain La Petite Robe Noire Lip & Cheek Tint. This gel formula comes in an adorable little bottle that would look lovely displayed on a vanity tray with some of your other artistically appealing products and perfumes. It's a universal pink shade that adjusts to your skin's pH and adapts to your skin tone. I prefer to use this as a blush, but I've used it as a lip shade when I'm looking for a more natural lip look. You can build up the color, as it's sheer, so just apply more for a more intense look. I use mine for more of a natural rosy flush look, so I'll admit I've never tried to build it up too much. The entry is easy because I've been out of the loop and have yet to research the best entry methods! TO ENTER: Simply follow me on any platform if you aren't already (see the Follow Along choices on the top upper right sidebar), then leave a comment below saying "Enter Me!". Feel free to add anything else you'd like to say in the comments, I loved hearing from everyone when I spent time here previously. RULES: U.S. addresses only for shipping purposes, your screen name can't be "Anonymous" because I need some type of name to announce a winner, one entry per person per day/giveaway item, entry must be noted by 12:00 p.m./noon EST the day after my post is made. In other words, you have until 12:00 p.m./noon tomorrow, December 12th to comment/enter on today's giveaway. Winners will be announced each day when I post the new day's giveaway, so be sure to check back daily! Welcome to Day 9 of the 12 Days of Christmas Giveaway! The winner of the Day 8 prize selected by Random.org is nightowl. Please send me an eMail to mary@body-soulbeauty.com with your name/address. Congratulations to the winner, and thanks to all for entering. 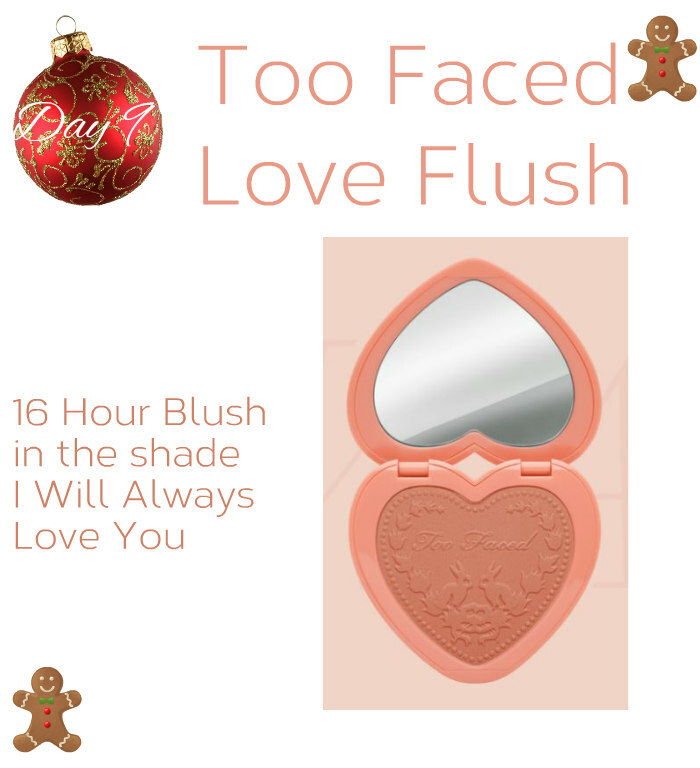 Day 9 offers 1-Too Faced Love Flush Long-Lasting 16-Hour Blush in the shade I Will Always Love You. These are some of my favorite blushes because they're very pigmented, yet natural looking. I love the cute little heart-shaped compact they come in, and of course the embossed graphic is almost too pretty to disfigure by using it! This particular shade is a medium peachy-coral tone with shimmer, and I would describe the shimmer as more of a sheen once applied. Peach and gold, lovely! In other words, it's not really particles of shimmer. Does that make sense?!! They're firm enough in the pan so that they don't apply too powdery, and the intensity can be easily built up. The entry is easy because I've been out of the loop and have yet to research the best entry methods! TO ENTER: Simply follow me on any platform if you aren't already (see the Follow Along choices on the top upper right sidebar), then leave a comment below saying "Enter Me!". Feel free to add anything else you'd like to say in the comments, I loved hearing from everyone when I spent time here previously. RULES: U.S. addresses only for shipping purposes, your screen name can't be "Anonymous" because I need some type of name to announce a winner, one entry per person per day/giveaway item, entry must be noted by 12:00 p.m./noon EST the day after my post is made. In other words, you have until 12:00 p.m./noon tomorrow, December 11th to comment/enter on today's giveaway. Winners will be announced each day when I post the new day's giveaway, so be sure to check back daily!